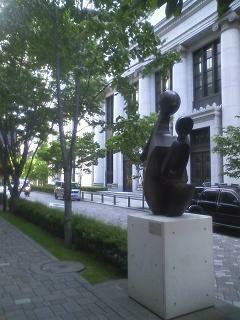 I came to LST Tokyo salon in Marunouchi on business. The fresh green looks very bright as I havent visited the salon for a long time. Alound the salon, there are tasteful shos everywhere. We really enjoy taking a walk around here. 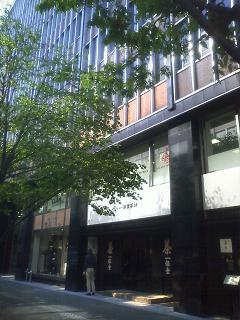 It’s a little strange that we can visit shops of long standing in Kyoto such as “Ippodo” and “Wakuden”. At the same time, Iam also fascinated by sweets made by popular cooks in Tokyo. When I talk with visitors in the Tokyo salon. I sometimes realize that how they think about Kyoto, which is a lot of fun for me.